It’s almost been a year since we embarked on the journey of a lifetime. Before we started the Way of St James (also known as The Way or the Camino de Santiago), we had no idea what impact it would have on us; almost 365 days on, we can tell you. Each and every day since we returned, we still think about our time walking the 790-odd km from the south of France to Santiago de Compostela in Spain. Anything related to the Camino still pulls at our heartstrings and stirs up the urge for us to return. We may have completed it but it never leaves us, not even for a moment. 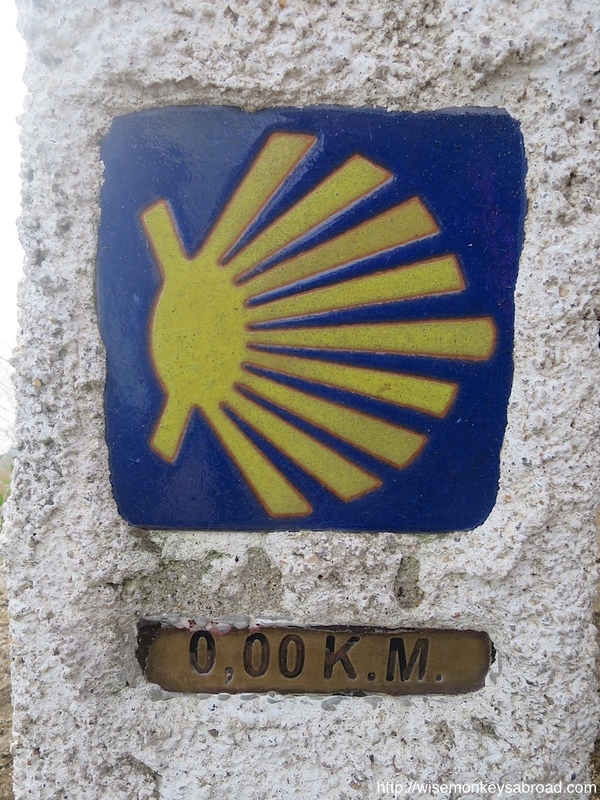 Today we read an article over at Camino Adventures where the author shared his top 10 things about the Camino de Santiago. And maybe it’s because we are almost celebrating our Camino anniversary that we shed a tear. Fellow pilgrims – hands down – our Number 1 most memorable! Being on the Camino is like being on an alternate world. A world where kindness is normal and so is sharing blister stories. The camaraderie along the way is like nothing we have experienced before. People do the Camino for all sorts of reasons, come from all different backgrounds and have different beliefs and values yet on the Camino everyone can get along. The tales of friendships and generosity are not myths. Sunrises – waking up and starting the walk before the sun came up meant we were able to witness some striking sunrises. We were always sunset fans but after the 40 days of walking, sunrises mean so much more to us. Crossing numerous medieval bridges to enter and leave the villages – we are big FANS of anything historical so to enter a village looking for the basics, usually food and water, we felt like pilgrims from back in the day. It truly felt like we had been sucked into a time warp. The bridges also proved to be stunning structures for photographs. Burgos and Leon Cathedral – as we pass through so many villages and towns, we see plenty of churches. Most are part of small villages or towns and are rather modest. Burgos and Leon Cathedral, on the other hand, are the complete opposite. They are lavish and are the centre pieces of their cities. 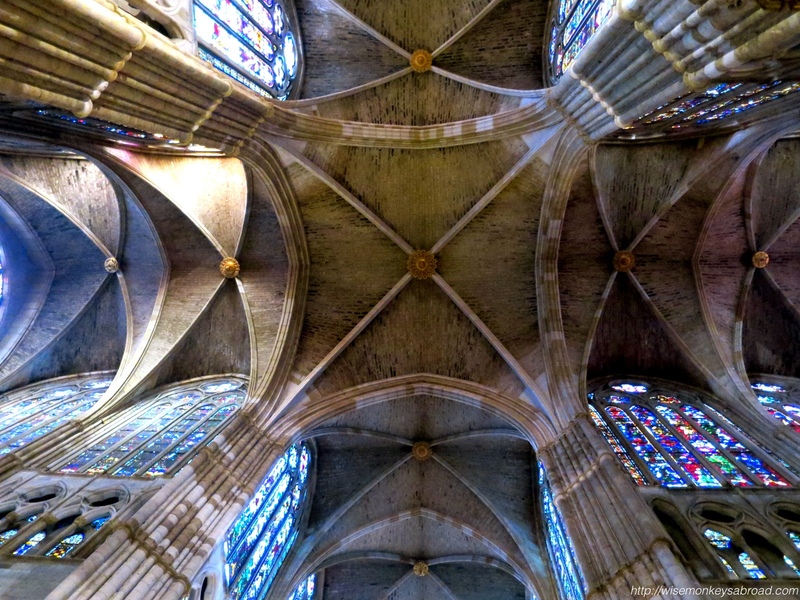 The constructions of these cathedrals would be a history lesson in themselves. Plus the added bonus of seeing Burgos Cathedral on our wedding anniversary is a memory for us for always. Beautiful countryside – not a day went by where we weren’t in awe with the scenery around us. Every single day we would soak up everything around us. We captured what we could on camera so we could relive it afterwards. We do that often still to this day. There were mountains, rolling hills, green fields, fields of sunflowers and vineyards. There was NEVER nothing to look at. Feeling free and humbled – it was just us and the path. Our biggest concern was when we would eat next. Other than that, we had no worries and nothing to stress about. We did a lot of soul searching and reflecting. We learned a lot about ourselves and about life. We were so humbled to think that we were walking in the footsteps of millions of pilgrims from hundreds of years before us. We were also walking on ancient Roman roads. It really put lots of things into perspective. Little surprises along the way – we went rather unprepared for the Camino. We trained little and we read very little because we didn’t want to experience the Camino before the Camino. When we stumbled across fiestas, we were excited. When we stumbled across the many different snails, we were excited. When we stumbled across a yellow rubber ducky race, we were excited. There was plenty along the way that we will never forget. Clam shells and arrows – these were creatively displayed along the way to point out where we were to go. Sometimes they were found in the most unassuming places. Seeing a shell or arrow during our lives before this long walk meant nothing, but seeing them nowadays means a completely different thing. It immediately serves as a reminder of our time on the Camino; that we are never lost and that we should always look for the signs, that we should have faith in ourselves and what we are capable of doing. The hills – crossing the Pyrenees was meant to be the hardest day of all the Camino; 20-something km all uphill on Day 1. It was unforgiving and brutal but we would do it again in a heartbeat. You see the Camino does this to those who have walked it. It keeps drawing us back no matter how hard it felt. Every day felt like we had a hill to climb up or down with varying gradients. They’re not all hard but they did test our endurance! But yes, we will go back to climb every one again. Entering Santiago de Compostela – after 40-odd days of walking through dramatic scenery, a maze of streets, roads and “civilisation” welcomes us. It’s nothing like we imagined where the clouds open up and sing “Hallelujah”. The feeling of arriving at our destination; the cathedral of St James is one we can never truly describe. It was one of sheer disbelief that we walked almost 800 km. It was one of pure happiness and such a sense of achievement. It was also a feeling of the reality that our journey had come to an end. With this much overwhelming emotion, what does one do? One cries! And that is what we did: we hugged each other and cried! This journey helped us grow in so many unimaginable ways. We are different because of it! We see life and the world through different eyes. We will go as far as to declare it our BEST travel experience ever. We will walk it again some day. If you are interested to see any more of our photos from the Camino, check out our photo essays: Part 1, Part 2, Part 3. Have you walked the Camino? What would your top 10 be? This entry was posted in Spain and tagged Camino, Camino de Santiago, Camino Frances, List, photo essay, pilgrimage, Top 10, Travel, travel photography, Way of St James. We experienced plenty of “fresh” moments on the Camino; freshly squeezed orange juice, fresh morning dew, fresh morning air and fresh faces! Our interpretation of fresh for the challenge this week: fresh rain water flowing along the path. This was our second last day on the Camino and we were faced with horrendous rain. In some parts, we were wading through ankle deep water. By the end of the day, we emptied about half a cup of water from our shoes and could wring water from our socks. Please feel free to leave us your thoughts. This entry was posted in Spain and tagged Camino de Santiago, Daily Post, fresh, Galicia, Photography, rain, Spain, Travel, Weekly Photo Challenge. 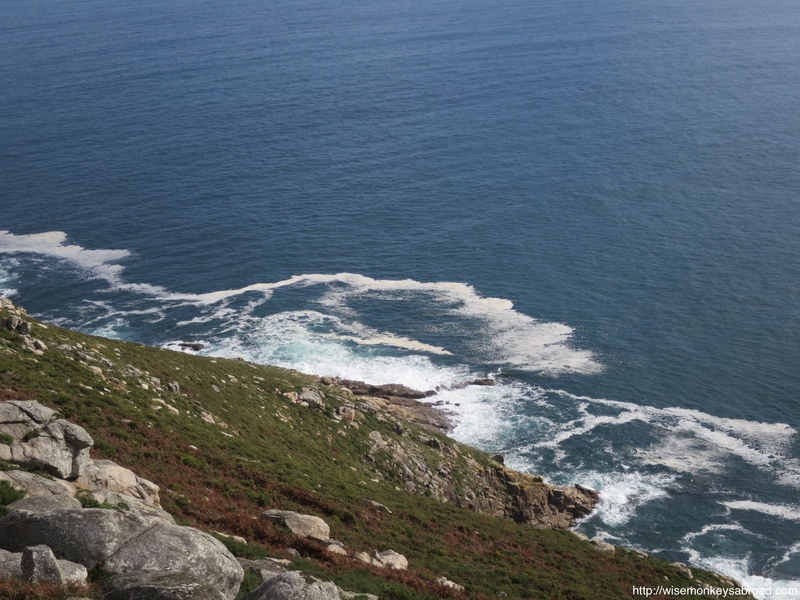 Once believed to be the furthest point west on the Iberian coast, Finisterre was aptly named “the end of the Earth”. Finisterre is also the place that marks an end for some pilgrims of the Camino de Santiago (or Way of St James) who can walk on for another couple hundred kilometres after arriving in Santiago de Compostela. We actually had no desire to go to Finisterre when we initially embarked on the walk. But once we started walking, we felt like it was somewhere we had to visit. And then it didn’t seem so straight forward on how we would get there. (1) to walk it: unfortunately (or fortunately) we didn’t have the time for that. (2) to catch the local bus: this was our plan A until we met a fellow pilgrim (about 3 days from finishing) who warned us that he did that the previous year, and it was almost 3 hours on the local bus and then an additional several kilometres of walking. And this was just to get there. So add the same amount of time to come back. (3) to hire a car and drive there ourselves: there were too many logistical things about this one, so we benched this as a possibility. (4) to book a day trip tour on a bus or minivan in Santiago de Compostela: this was the most enticing option. And the one we settled for when it came down to decide. 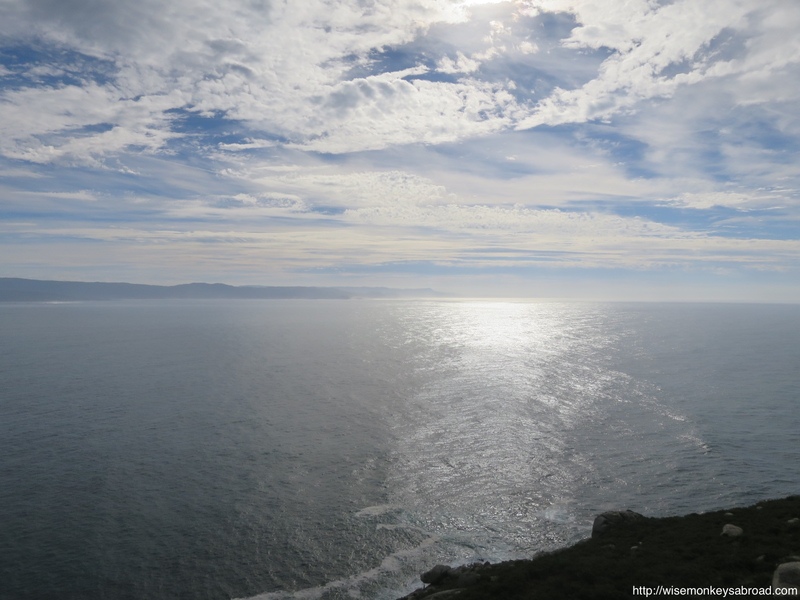 The day we went to Finisterre, the sun was shining brightly and the skies were blue. Upon arriving, often as with popular tourist spots, there is an array of visitors. 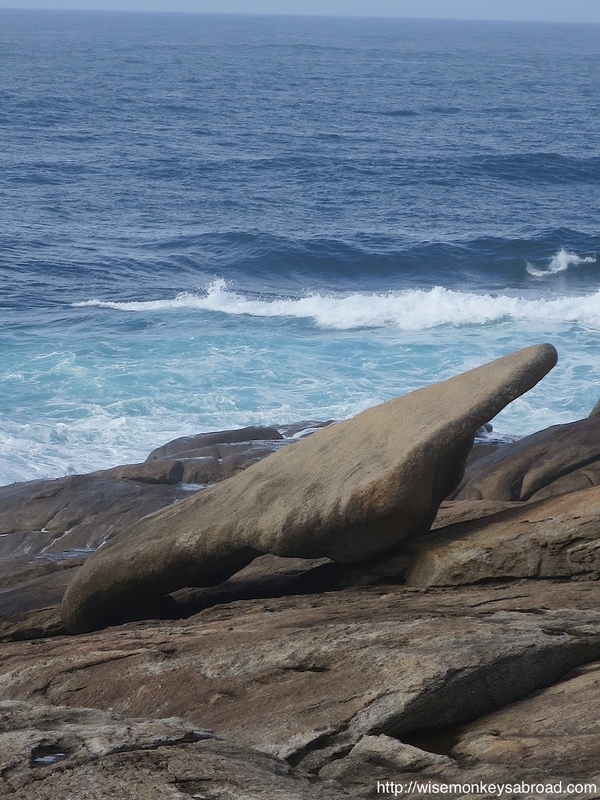 Yet Finisterre had a different feel to it – it was peaceful somehow. It was calm and it actually felt like we had read the last page of an incredible book. It was closure for us, standing at the end of the Earth and looking out to the horizon. As we stare out, we can see why during the Roman time, it was thought this was the end of the known world, standing right there… the Earth looks flat and we see nothing beyond.. it’s just water as far as the eye can see. Muxia is also another place that pilgrims can walk onwards to from Santiago if they choose. 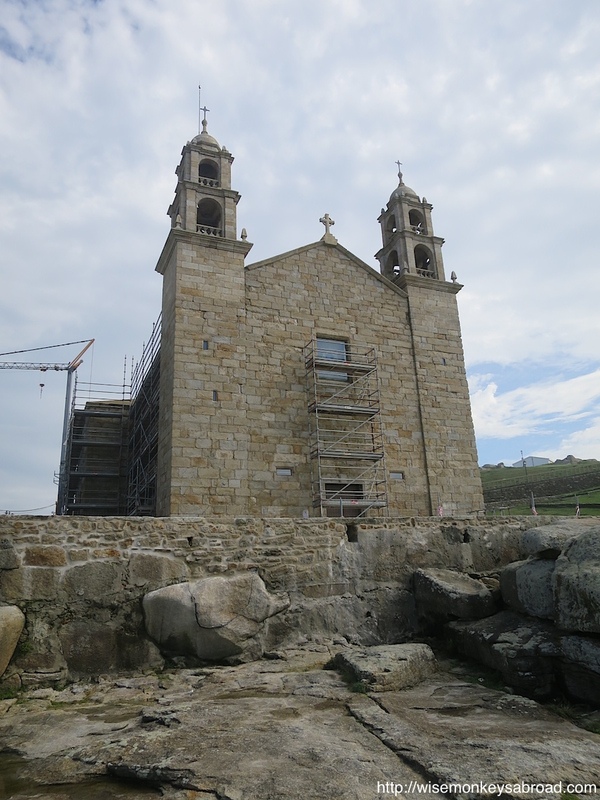 Here stands a church, Virxe Da Barca Sanctuary, which on December 25, 2013 was destroyed by fire after being struck by lightning. We were told that on the Orthodox Christmas (January 7, 2014), huge, powerful waves swept through and knocked over the church. Suspicious or freakish, either way, it was unlucky for this building built right on the edge of the surf. Since then, restoration has been underway and we were able to see the outside of what once was. One of the highlights of this part is the healing rock. It is said to have healing powers. Crawl through the hole nine times and it is said to heal a sore back. Lucky we weren’t there for any curing. So why were we even there? There really is no better way to end an epic journey, other than to visit the end of the Earth. Please feel free to leave us any comments. 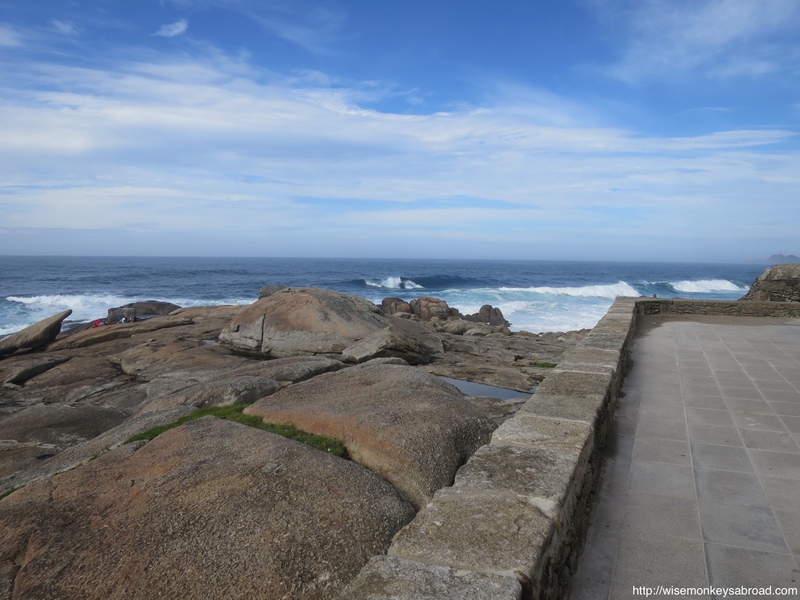 This entry was posted in Spain and tagged Camino, Camino de Santiago, End of the Earth, Finisterre, healing rock, Muxia, pilgrims, Santiago de Compostela, Spain, Travel, Virxe Da Barca Sanctuary, Way of St James.